Buxton Bed and Breakfasts. Compare latest rates and Live availability for all your favourite places and places you have always wanted to go using our new My Shortlist feature. Click + to add to your Shortlist. 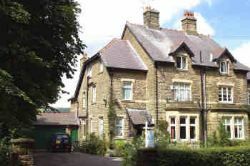 Bed and Breakfasts in Buxton, Derbyshire for 1 night from Fri Apr 19, 2019 to Sat Apr 20, 2019 within 10 miles, in an Average Nightly price range of £1 to £200. Abode Accommodation is situated above a vibrant restaurant and bar in central Buxton close to amenities attractions and shops. The period style rooms each have orthopaedic mattresses and have rustic character. All our rooms have complementary tea/coffee making facilities mini fridge hairdryer feather pillows TV & DVD player. br / br / br / br / The restaurant downstairs serves contemporary British cuisine complimented by the bar serving real ales craft beers wines and cocktails. br / br / br / br / We are located close to the Pavilion Gardens. The Pavilion Gardens is a wonderful historic venue situated in the heart of Buxton. Nestled in 23 acres of recently restored pleasure gardens the main building is a natural base for tourists coming to the town. There are a number of activities in Buxton. These include the Devonshire Spa. Based at the Devonshire Campus within the University of Derby Buxton. Go Ape An award-winning high wire forest adventure course of rope bridges swings and zip slides. . . all set high up in the tree tops. br / br / br / br / Poole s Cavern is a 2 million year old natural limestone cave situated in the beautiful woodland of Buxton Country Park. One of the great caves of the Peak District. Other attractions in the Peak District include Chatsworth Haddon Hall Penine Way and Castleton Caverns. br / br / br / br / We want to make you feel at home but also offer you something a little different.We have great showers and soft towels and all rooms have a TV/DVD/ complimentary wireless broadband and tea & coffee making facilities mini fridge hairdryer and feather pillows. Situated at the centre of Buxton, The Palace Hotel Buxton & Spa offers a swimming pool and beauty salon. This grand Victorian hotel is about 300 metres from the Buxton Train Station. The Palace Hotel Buxton has modern facilities, comfy rooms, a restaurant and parking (at an additional cost). Cavendish Golf Club is 800 metres away, and the hotel is well-located for exploring all the beauty of The Peak District. Just 10 minutes' walk from the centre of Macclesfield and Macclesfield Rail Station, Chadwick House offers light and airy rooms with TVs. Guest can enjoy hearty, full English breakfasts. Each room at Chadwick House includes free Wi-Fi, tea/coffee-making facilities and a hairdryer. Some rooms also feature private bathrooms or wash basins in the room. Free, private parking is provided at Chadwick House, and Stockport is a 25-minute drive away. Manchester can be reached in 40 minutes by car. A family run hotel currently in it s third generation. We combine the traditional values of a welcoming atmosphere and good fresh food locally sourced where possible and an informal yet attentive service. Having just past its centenary year our beautiful Edwardian hotel was constructed in the Arts and Crafts period. The building is set in its own mature well maintained gardens only five minutes walk away from Buxton centre with its many attractions including the Opera House and the Pavilion Gardens. The hotel provides and excellent base to explore the Peak District and local area or as a place to escape and relax. Our cosy bar lounges are ideal to sit back in and watch the world go by. Whether coming to Buxton for an activity packed holiday or a quiet retreat the Alison Park Hotel could be just what you re looking for. Dinner and lunches are available in our Restaurant we do ask that these are pre booked. Bar Meals are available throughout the day (10am-8.00pm) these do not need to be pre booked. Nestling in the Peak District National Park with breathtaking views the Stanley Arms is ideal for discerning guests offering first class accommodation delicious home cooked food and real ales. Nestling in the Peak District National Park on the edge of Macclesfield Forest and surrounding reservoirs with breathtaking views all around the Stanley Arms is an ideal location for discerning customers who require either first class accommodation delicious home cooked food or perhaps to quench their thirst with our real ales or wide selection of red and white wines from the bar. br / br / br / br / This family run establishment is guaranteed to satisfy people who appreciate that little extra when it comes to service atmosphere and overall value for money. The accommodation is ideal for people on business tourists and visitors to the area or couples seeking a quiet few days relaxing in the wonderful surrounding countryside. br / br / br / br / Accommodation consists of 7 luxurious en suite double bedrooms sympathetically converted from a barn adjacent to the property. Each room offers colour TV tea and coffee making facilities and hairdryer. Located in Bakewell and within 2.9 km of Haddon Hall, H Boutique hotel has a terrace, non-smoking rooms, and free WiFi. The property is situated 5 km from Chatsworth House. Guests can make use of a bar. All guest rooms in the hotel are fitted with a kettle. All rooms come with a private bathroom with free toiletries and a hair dryer. At H Boutique hotel, every room includes air conditioning and a flat-screen TV. A Full English/Irish breakfast can be enjoyed at the property. The restaurant at the accommodation serves British cuisine. H Boutique hotel can conveniently provide information at the reception to help guests to get around the area. Ashford Castle is 3.1 km from the hotel. Manchester Airport is 60 km away. On the High Street in the Derbyshire spa town of Buxton, The Queen's Head Hotel is a lively central pub that offers en suite rooms with satellite TV and free WiFi. A 7-minute walk from the Buxton Opera House and Buxton Train Station, The Queen's Head provides free, limited parking and serves locally brewed ales in its relaxing bar. Rooms are accessed via a private entrance and have a satellite TV, wardrobes, an alarm clock and tea and coffee facilities. Each room has an en suite shower room. Breakfast is served each morning at The Queen's Head Hotel. The bar offers a selection of real ales from various local breweries. The Buxton Museum and Art Gallery is just 3 minutes' walk from this inn, and the town's University of Derby campus is around 10 minutes away. The Peak District town of Bakewell is within 20-minute drive. This fully modernised Georgian property, with its rosette award-winning restaurant, near the centre of Buxton, offers comfortable rooms with free Wi-Fi and parking. Surrounded by its own tranquil private gardens, B/W Plus Buxton Lee Wood Hotel is a peaceful, relaxing base from which to visit the stunning natural beauty of the Peak District. Just off the A5004, B/W Plus Buxton Lee Wood Hotel has great access to the region's major road network. Buxton's town centre is just a few moments' walk away. A family-run, Edwardian building in Buxton, Alison Park is situated in its own mature gardens, a 5-minute walk from the Pavilion Gardens. It offers individually designed bedrooms and a restaurant. The bedrooms at the Alison Park Hotel are light and airy and all feature a TV. They also include hairdryers, tea/coffee making facilities and some have views across the gardens. Classic British food is served in the restaurant whilst al fresco dining is available on the patio. Hearty cooked breakfasts can be taken in the conservatory. Afternoon tea is served in the cosy lounge, which has a selection of comfortable sofas and chairs. Free Wi-Fi is available in public areas of the hotel. Buxton town centre and the Buxton Opera House are just 5 minutes' walk away. Free parking is available at the Alison Park Hotel. This family-run B&B is set in 6 acres of farm, woodland and gardens, with panoramic views across the Peak District. There is free Wi-Fi, plenty of parking, and the centre of Buxton is 1.5 miles from the building. The house features a large, comfortable lounge with a bar and spacious breakfast room. A breakfast buffet is served in the morning, with full cooked options. Rooms at Staden Grange are uniquely decorated, and come with a flat-screen TV. Each also features facilities for making tea and coffee, and a bathroom with a hairdryer. Guests can enjoy walking and exploring around the woodland, where a range of natural wildlife can be spotted, or relax in the garden. Nearby Buxton has a pleasant mixture of Georgian and Victorian architecture, and is home to Buxton Opera House. Situated at the heart of the Peak District, The Old Hall Inn offers free Wi-Fi throughout. The quintessential English country pub is set just 15 miles from Manchester and within 10 minutes' walk of Chinley Railway Station. This family run, 16th century inn offers en suite rooms with a flat-screen TV. The room also includes hot drink making facilities. Some rooms are situated in the adjacent sister property, The Paper Mill Inn. Full English breakfasts and daily meals are served in the Minstrels Gallery, which connects The Old Hall Inn with the neighbouring Elizabethan manor house, Whitehough Hall. The traditional country pub offers a seasonal menu with traditional favourites, prepared using local produce. The bar serves a wide selection of local ales. Chatsworth House is 20 miles away and the area of Kinder Scout offers scenic walks, just 20 minutes' drive away. Free private parking is available. Nestled in the heart of the stunning Peak District, this hotel enjoys beautiful views over Monsal Dale valley, and hearty, seasonal food. Guests can enjoy a drink and a hearty meal in the former stable and award winning restaurant, or relax in its lounge, all of which have open fires blazing in the cold winter months. Tranquil views over Monsal Dale and Longstone Edge feature in some of the rooms at the Monsal Head Hotel. Every light and airy room provides en suite facilities, along with a full hospitality tray, tea and coffee, and a TV. Free parking is available, and the historic beauty of Chatsworth House and its estate are located approximately 5 miles away, while pretty Bakewell town is 3 miles from the hotel. Scenic walks can be enjoyed through the surrounding countryside, with the Headstone Viaduct which now forms part of the famous Monsal Trail, just 250 yards from the hotel's front door. Full Derbyshire breakfasts are served every morning in the Longstone Restaurant made with fresh, local ingredients from nearby award-winning butchers. The restaurant has a daily specials menu, as well as a seasonally changing Ã la carte menu. The Stables Bar serves a variety of real ales in a relaxed, rustic environment, while the Ashford Lounge offers comfortable seating, books and games to relax with. We look forward to welcoming you to The Church House Inn but please note you will be unable to check-in between 15.00 & 17.30pm. The traditional stone-built Inn on the edge of the Peak District dates from Bollington s origins as a cotton mill village. It offers a warm welcome for business or pleasure corporate or personal to drinkers & eaters who enjoy olde worlde open fires with crackling logs & lively conversation in a cosy bar. For business or pleasure our comfortable bed & breakfast accommodation offers five bedrooms (1 double 1 twin & 3 singles) for a single night or a longer-term stay. There s a small car park & each room has wireless Internet connection TV clock radio hairdryer tea & coffee making facilities & by request an iron & ironing board. br / br / br / br / The Church House has been renowned for its quality food & real ales for several years having been awarded several Egon Ronay awards & appearing in the good food guide of Great Britain and also appearing the in CAMRA real ale guide. There s a great choice of beers including lagers stouts & traditional real ales or an excellent wine list a fine selection of malt whiskies & other spirits and liqueurs. Something for every taste and everything stored and kept in perfect condition. br / br / br / br / The village is set in great walking country on the path of the stunning 35-mile Gritstone Trail as it weaves through fantastic views through Tegg s Nose Country Park near Macclesfield & on to the Staffordshire border. The Peak District offers many more attractions including Chatsworth House the spa town of Buxton with its famous Opera House Lyme Park at Disley - scene of Colin Firth s famous dip in the TV production of Pride & Prejudice - The Trafford Centre one of the UK s largest shopping malls Jodrell Bank Space Observatory Macclesfield Wilmslow Manchester city centre & historic Chester. br / br / br / br / The Church House is well situated for all major motorway networks and ony 25 mins from Manchester airport. Surrounded by the Peak District countryside, this Victorian gothic mansion is set in formal gardens and 27 acres of parkland. With 4 caverns on the doorstep, it is a great base to explore the spectacular Winnats Pass and Mam Tor. Guests can enjoy a number of walks around the valley, overlooked by the picturesque peaks. Peveril Castle is just a few minutes' walk away. Chatsworth House, Haddon Hall, and Poole's Cavern can all be reached in 30 minutes' drive. YHA Castleton Losehill Hall offers a wide range of facilities, including a games room and lounge for guests to relax in. A selection of beers and wines are available in the bar. The majority of YHA rooms include bunk beds. Located in Hayfield in the Derbyshire region, Kinder Lodge offers accommodation with free WiFi. A continental breakfast can be enjoyed at the property. Manchester is 29 km from the bed and breakfast, while Sheffield is 44 km from the property. Manchester Airport is 30 km away. The Maniford Inn Hotel is a 200-year-old coaching inn, situated amongst the rolling hills of Derbyshire's Peak District, in Hartingdon. It offers modern rooms, home-cooked food and a traditional bar. Free WiFi is available throughout. This lovely mellow-stone building is set in grounds along the bank of the Manifold River. British and European cuisine is served in the restaurant, snug, bar and conservatory. Guests can enjoy local ales and cider in the bar with its beamed ceilings and large window seats, which offer countryside views. The spacious rooms at the Maniford Inn Hotel are decorated in light shades and have individually designed beds and furniture. Rooms include flat-screen TVs and comfortable seating areas. There are many walking and cycling routes surrounding the inn, including the Maniford Trail. The famous White Peak can be reached in 15 minutes by car. Free parking is available at The Maniford Inn Hotel. Set in private gardens, Bagshaw Hall offers elegant rooms with original features and free Wi-Fi. Bagshaw is a short stroll from Bakewell centre, in the heart of the beautiful Peak District. The large, luxury bedrooms at Bagshaw Hall have stylish bathrooms with bathrobes, slippers and toiletries. Rooms also feature compact kitchenettes and seating areas with flat-screen TV/DVD players. Bagshaw Hall is set in a grand period property, with pretty gardens, a sun terrace and croquet lawn. Free on-site parking is available, and there is also a cosy guest lounge and grand private dining rooms. Just 250 metres from Bakewell's quaint shops and restaurants, Bagshaw Hall is a 10-minute drive from the Chatsworth House Estate. Historical Buxton and Chesterfield are both a 20-minute drive away. Sleep Lodge is located in the picturesque Peak District town of Bakewell. With countryside views, modern rooms have flat-screen TVs, DVD players and free Wi-Fi. All rooms feature a kitchenette. Rooms at the Sleep Lodge are decorated in warm coloured fabrics and walnut furnishings. Bathrooms include a hairdryer and power shower, and most have baths. Kitchenettes comprise a microwave, fridge and a toaster. Some rooms have a hob and there is also a dining area. The Lodge has a private garden and terrace. Walking routes surround the accommodation. Bakewell town centre and the Wye River are both less than a 5-minute walk away. Bakewell has a selection of quaint shops, restaurants and a swimming pool. Portland Hotel is a traditional building in the spa town of Buxton, surrounded by the stunning Peak District. It is a leisurely 10-minute walk from Buxton Rail Station. An ideal base from which to explore the picturesque surroundings, the Peak District National Park can be reached in 10 minutes' drive from Portland Hotel. Chatsworth House is just 17 miles away. The hotel rooms are individually decorated, with wooden floors, traditional furnishings, and TVs. Guests can enjoy free private parking on site, and free Wi-Fi is available in public areas. A full English breakfast is served in the morning. The University of Derby is a 10-minute walk from Portland Hotel. The Buxton Opera House can be reached in 5 minutes' walk. Set within a 10-minute drive from Buxton in the beautiful Peak District National Park, within 5 km of Buxton Opera House, Stoop Farm B&B offers rooms with free WiFi. At the bed and breakfast, all rooms have a wardrobe, a TV and a private bathroom. At Stoop Farm B&B, every room is equipped with a seating area. The accommodation offers a Full English/Irish or vegetarian breakfast. Hiking is among the activities that guests can enjoy near Stoop Farm B&B. The nearest airport is Manchester Airport, 30 km from the bed and breakfast.